Wow, I barely remember April because it went by so fast…and that will be my excuse for why I didn’t read as many books as I had hoped. However, I did read a grand total of 4 books so here they are! Sorry for the late reading and writing update, but here is what I managed to get done reading and writing wise this past week! I managed to complete two books this week, one that I started last week but the other I started about halfway through this week. Those books are, To All the Boys I’ve Loved Before and P.S. I Still Love You by Jenny Han! I fly through these books so I wasn’t surprised I was able to finish them so quickly, and as always, I loved the re read. I am 100% going to be moving on to the third and final book, Always and Forever, Lara Jean, because I am not sure if I have ever re read that book…maybe once. Probably once, but once is not enough! I also want to dive into Sapphire Blue by Kerstin Gier because I really feel like re reading some of my old favourites. There are a lot of new releases I still need to get too though *cough* *cough* Restore Me by Tahereh Mafi, so we will see what I really get to! That is it for this reading and writing update, and I hope you enjoyed. Don’t forget to check out my last blog post linked below, as well as follow me on my social medias! I was so disappointed in myself for not getting to this book in April, but I am determined to read it in May because this was a book I was so highly anticipating this whole year! 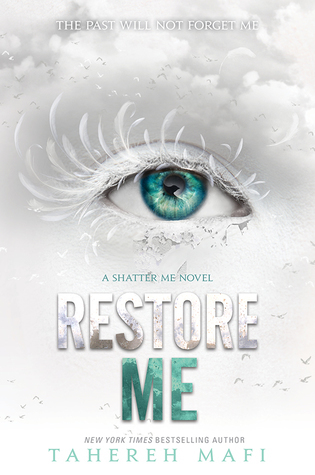 This is the fourth book in the Shatter Me series by Tahereh Mafi which follows a girl whose touch kills. If you haven’t picked up the first book, Shatter Me, I highly recommend it because it will not disappoint. This is a book that has been on my shelf for a while, so I think it is getting to the time where I finally pick it up. 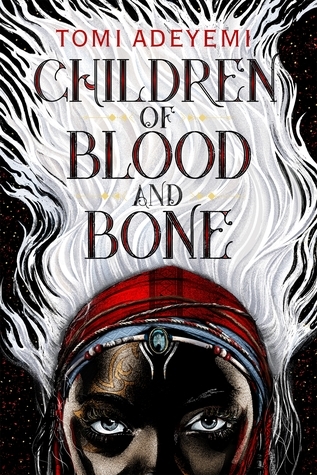 I really want to read this trilogy before jumping back into Six of Crows and the sequel, Crooked Kingdom, because I want to understand the Grisha world better. 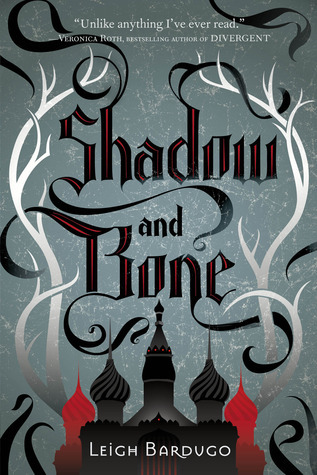 Other than that, I have no idea what happens in Shadow and Bone but I have heard nothing but great things so I am excited! Since I decided to pick up the first book and give it a re read, it wouldn’t be right not to just re read the entire trilogy. This is one of my favourite trilogies so I am dying to revisit the characters and the story line again! I always fly through these books so I wouldn’t be surprised if I finished the last book too this month. Again, I re read the first book back in April via audiobook and can’t just walk away now. This is also one of my favourite trilogies ever, and if you have’t read them…go to the library or the bookstore and make sure you do that! This trilogy is filled with time travel and romance and fun so make sure you get your hands on it. Remind Yourself That This is Draft One – For most of us, this is draft one of our projects and because of that, the words are just there as a placeholder until you can think of better ones. The point of a first draft is to word vomit all your ideas and characters onto a document, and then later on you can come in with a broom and dustpan. But you can only do that if the words start out bad so get out those words! Remember Every Writer Starts Out in the Same Boat – Even the most successful writers start with bad first drafts, it is just a given. Nobody has a clean first draft, unless you go back and edit everything you write but that would take forever so just keep going! All Stories Matter – Don’t compare your story to someone else’s because all stories are valid and deserve to be told. Each story will be different and have a different effect on people, so don’t go comparing your story to Harry Potter just because it is a fantasy book that has magic in it! You will only end up feeling bad about your work and we don’t want that. Enjoy the Process – When it comes to writing, you have to write with the present in mind, not the future. If you are writing to become a “New York Bestselling Author” then you are not writing for the right reasons, and will be most likely to only disappoint yourself. Enjoy the process of writing your own, original story, and fall in love with it! Just Keep Writing – Don’t go back and edit anything, just keep writing. Keep the momentum flowing and when you finally write that last page your story, it will feel like a massive accomplishment, because it is! So work towards that rather than a fancy title like “NY Bestselling Author”. How many people can say they have finished an entire novel? Odds are not many so let that be your goal. That is all for this Camp NaNoWriMo Week 4 post and I hope you enjoyed! I will have a week 5 one up next week so stayed tuned for that. Don’t forget to check out all the blog posts linked down below for more bookish-writing related content, and also follow me on social media! This week was definitely a slower week, reading, writing, and really everything wise. It was a long and hard week and I can easily say I am happy it is over. However, I obviously got some reading and writing done so here is my quick update! Earlier this week I decided I needed a break from fantasy and was in desperate need of a fun, light hearted contemporary read. So, like always, I turned to To All the Boys I’ve Loved Before by Jenny Han! No surprise there. I am actually about 30 pages away from finishing so I might even be done by the time this goes up…if that is the case, I will probably pick up American Panda by Gloria Chao next because who actually sticks to their TBR? Not me, that’s for sure. Like I said, contemporaries just sound really appealing right now so why not? Up until this year I had been pretty caught up with all the hyped up new releases, but since the school year started I have fallen so far behind it may take YEARS for me to catch up which is why I am making this list to remind myself to actually pick these up eventually. If any of the books I list are amazing, let me know so I can get to them sooner! 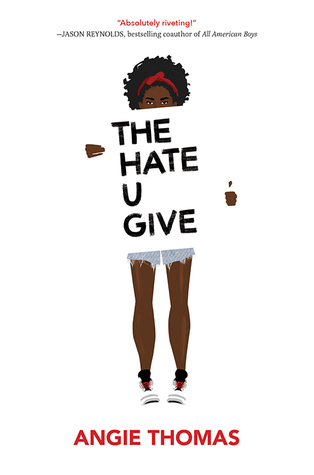 I cannot tell you how much I want to read this book, especially sine the movie will be out in the near future. This is book has seemed to be read by everyone and their sister, and has received amazing reviews so it only makes me want to read it more. Honestly, I have no good excuse to why I haven’t picked this book up, other than the fact that I have been trying to read the books on my shelf first! This was a book that I had no idea about until about a month before its release date and I immediately became obsessed. 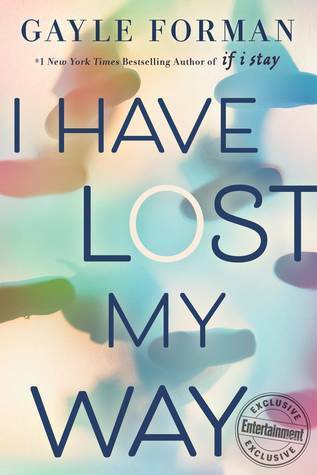 I want to read it soooo badly and everyone seems to love it so I am hoping to get my hands on it soon! I do know that it is a massive, fantasy book though so maybe I will wait till the summer so I can devote a solid three days to reading it. 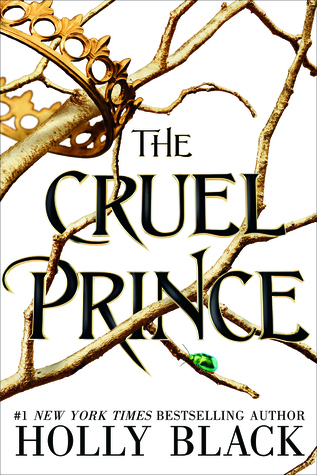 The Cruel Prince is actually a book I own, so I could read it whenever and knock it off the TBR. However, my current TBR is sky high and sadly The Cruel Prince is somewhere close to the bottom…that isn’t to say I don’t want to read, because I really do! I adore books about faeries and lots of people I know have loved this book, so I am looking forward to diving into it when I get the chance. Okay, technically I have read this book, but even after finishing it I could not remember a single thing I had just read. Why? I have no idea. The parts I very faintly remember, I do remember enjoying though. I really want to re read this book and then jump into the sequel, because I own both and also because I feel really bad saying this because I know it is a lot of people’s favourite book! I really enjoyed the TV show adaptation of this book, but yes, I haven’t read the book yet. I know, I know, I am ashamed as well! However, there are quite a few mixed reviews on this book but since it does cover an important topic, I do hope that I will eventually get to it. Let me know if it is worth giving a read, or if I should just stick to the TV show! Okay, obviously you need to actually WRITE to become a better WRITER, but it is also important to remember that there are other ways to become a better and stronger writer. I hope you apply some of these new ideas to your writing process, and I hope you enjoy! Read – Yes, yes this is the obvious one but it had to be said in a blog post like this. You would be surprised how many people forget to crack open a book while writing their own story, or just writing anything in general. It is important to keep up a regular reading routine that goes along with your writing routine because continually reading will continue to inspire you and help you improve your craft as you go along. Even if you can only fit in 15 minutes a day for reading, every little bit helps. New Experiences – Going for a walk around town or hopping on the bus and going for a cruise will open your eyes to the world around us. You will see people interacting and new landscapes which will benefit your writing. You will be able to paint scenery better because you actually saw it, and could pick up on some interesting dialogue as well. Make sure you leave your writing office every once and a while! Learning – Even if you have long since graduated from school, there are so many opportunities for you to learn new things. Take online classes or classes at your local college on subjects that interest you (not just writing, but classes like history, art, languages, etc), check out books on different topics from the library, or use the internet! There are so many resources at your fingertips that I don’t understand why you wouldn’t want to keep learning. Learning new things will widen your field of writing when it comes to blog posts and articles, because as they say, pick something (or several things), become an expert in it, and then write it. Watch Movies/TV! – This might be your favourite one, because I know it is one of my favourite ways to become a better writer. Watching movies and TV’s triggers new ideas and allows you to admire the story line and then dissect it. You get to learn what makes an entertaining plot, and where it falls flat, and then apply it to your own writing. Podcasts – Every writer should be subscribed to several different podcasts, whether they are writing related or something completely different. I am subscribed to many writing/creativity related podcasts, but also some on history and mythology ones as well. They are nice to listen to when you are walking around or driving, or even cleaning your room/house. If you have a busy life and don’t have much time to commit to the tips above, I definitely recommend checking out some podcasts because they allow you to listen to them while doing other tasks! Okay, NOW is when writing comes in!